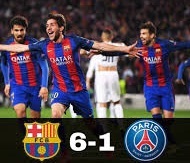 Barcelona produced one of the most memorable champions league nights as they came from 4-0 down from first leg to win the round of 16 tie against Paris Saint Germain 6-5 on aggregate. 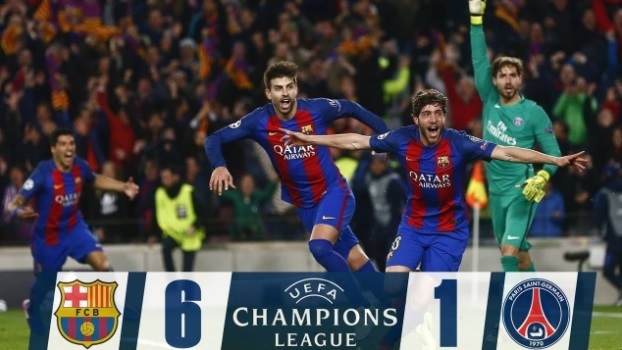 This win by Barcelona is widely regarded as the greatest comeback in European football. 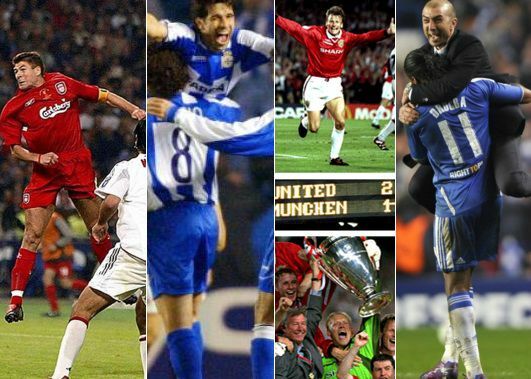 We take look at 10 of the other great comebacks in UEFA club competitions like Champions League and Europa League. Having lost the first leg in Paris by 4-0, not many people expected a turnaround. But if any team could do it, it had to Barcelona who scored 6 past PSG at Camp nou in second leg to seal their progress to quarterfinals. After losing 4-0 in the first leg of their round of 16 clash against Paris Saint Germain nobody was expecting Barcelona to turn the tie around when the both teams meet for the second leg at camp nou. Suarez opened the scoring plus own goal and a Messi penalty made it 3-0 before Cavani scored what looked like an important away goal making it 5-3 on aggregate and Barcelona needed three more to win the tie. Neymar freekick after the break made it 4-1 on the night followed by a dubious penalty kickoff from where Neymar scored his second of the night. With seconds remaining on the clock, an hopeful ball inside the box had PSG defense scrambling and Sergio Roberto tapped home to win the tie in what was a incredible turn around. We take a look at some of the other great comebacks which features Liverpool’s great escape in Istanbul, United quick turn around against Bayern in Champions League final. Deprotivo shaking the history books winning 4-0 against Milan and some other memorable European nights. With Liverpool producing yet another memorable night of football at anfield when they came from 3-1 down in second half against Borussia Dortmund to win the match and tie 4-3 making their way to the semifinals of 2016 Europa League. 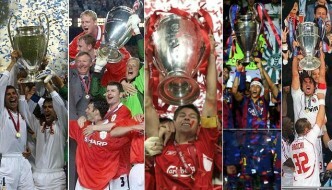 Where does this comeback stand in the recent history of great comebacks in champions league and europa league ? we take a look at top 10 most memorable comebacks. This game will always go down as one of the best comebacks in modern football. Liverpool playing against mighty Milan in 2005 champions league final and under Rafael Benitez they were heavy underdogs before the game started but when Milan took 3 goals lead in first half the match pretty much over in many people eyes. Liverpool however had other ideas as they mounted an incredible comeback scoring three goals in space of 9 minutes in second half to turn the game on its head. Liverpool went on to win the final on penalties. Having lost 4-1 at san siro against AC Milan, Deprtivo La Coruna’s chance of qualification were next to nothing considering the great Milan side who had some of finest players at that time. But when the second leg in spain started Deportivo tore Milan apart taking 3-0 lead at the break and went ahead on aggregate in terms of away goals. Carlos Valerón and Alberto Luque were on the scoresheet for Deportivo. 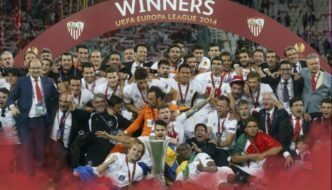 Fran González added fourth to get homeside -4 up on aggregate and won the game leaving Milan stunned. 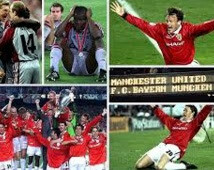 Bayern Munich absolutely hammered United in the final of 1999 Champions League but they could only score one goal in a game they dominated from 1st minute to 89th when United scored two goals in 3 minutes to win the final in injury time. 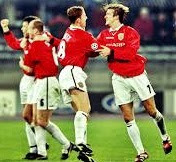 Ole Gunnar Solskjaer and Teddy Sheringham were on target for United as they stunned Munich fan base in what became one of the most memorable champions league final. Before the Europea League was rebranded it was known as UEFA Cup and although giants of european football never took this competition seriously it had some great games over the years. Before 1992 UEFA Cup final was contested over two legs and back in 1988 final where Espanyol had taken 3-0 lead in first leg and pretty much had the cup in the bag, Levekusen mounted incredible comeback in second leg scoring three goals in second half to take the game to penalties and eventually winning it. Like I mentioned before UEFA Cup has produced some shocking and memorable comebacks in football history and one fine example was 1985’s UEFA Cup round of 16 tie between Serbian club Partizan Belgrade and english side Queens Park Rangers. 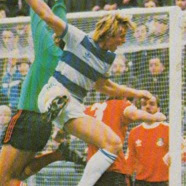 QPR took the 6-2 lead in the first leg and though the tie was as good as won but Belgrade secured their passage to quarterfinal after scoring 4-0 win at home. 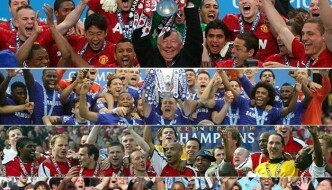 1999 was United’s year, they completed the treble of trophies winning League, FA Cup and Champions league. We have already discussed 1999 final of champions league against Bayern but before than United mounted incredible comeback in Italy against Juventus to progress to final. Juventus drew 1-1 at Old Trafford and took that away goal advantage back to turn where they went 2-0 up inside first 14 minutes leading 3-1 on aggregate. But United scored three goals to complete the turnaround and made it to the final. Having lost 5-1 in Germany against Monchengladbach Real Madrid fans turned on their team, the manager was sacked, players revolt and what not. But by the time Monchengladbach visited Bernabue alot had changed as Madrid blitz past the germans scoring 4 goals to level on aggregate and progressed to next round on away goal advantage. Chelsea lost 3-1 against Napoli in Italy and were starring at the prospect of elimination but Chelsea had appointed Roberto Di Matte after sacking Villas-Boas and that resulted resiliance back in the team. Chelsea mounted a superb comeback in second leg to win the tie on aggregate in extra time. Didier Drogba, John Terry and Frank Lampard were on target for Chelsea in normal time while Ivanovic made it 4-1 in extra-time as Chelsea went through 5-4 on aggregate. 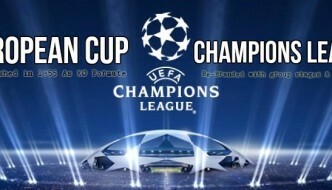 There are number of other matches which we will be including here on this page. But right now you can also watch Liverpool’s 4-3 win over Dortmund where they came from 3-1 down to win 4-3 at Anfield. some of us can remember 1964-65 Fairs Cup First round – Eintracht Frankfurt 3 Kilmarnock 0 In the second leg, Eintract took a 1-0 lead in the first 4 minutes, only to lose 5-1 within the regulation 90 minutes!